Noah Addis has been working as an artist, photojournalist and documentary photographer for the past 15 years. He focuses on social issues, urban development, income inequality and preservation of natural resources. Addis graduated from Drexel University in 1997 with a degree in Photography and completed additional studies at the Salt Center for Documentary Studies in Portland, ME. He resides in Philadelphia. 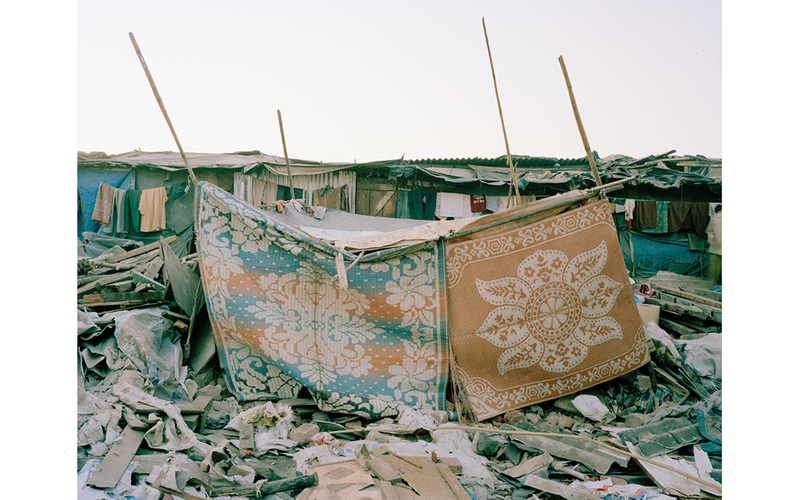 His most recent project presents people living in both urban squatter communities and in informal settlements worldwide. He travels from megacities like Mumbai, Lima, Rio de Janeiro and Mexico City to the clay huts in Lagos and Nigeria. Addis wants to gain both a greater understanding of life in those make-shift squatter cities and hopes to show that the vast majority of squatters are hardworking people who are merely trying to have a home that is safe. These communities worldwide contain one billion people and projections indicate that by mid-century there will be 3 billion squatters. Addis’s work has appeared in major publications from the New York Times, the Wall Street Journal, Time, Newsweek, to name a few. He recently was awarded fellowships from the Independence Foundation and The George A. and Eliza Howard Foundation, Brown University. The response to the competition each year has been exciting and brought many talented photographers’ work to the attention of the Museum’s curatorial staff. With the competition, we have added work of twelve very talented arts both experienced and emerging. Limited edition prints of this photograph are available at a cost of $600.